At our March meeting, Jimmy Laffey of Skehana spoke about his research on the Down Survey of Ireland. The 17th century ‘Down Survey’ resulted in the first systematic mapping of Ireland, with unprecedented levels of organisation and accuracy. 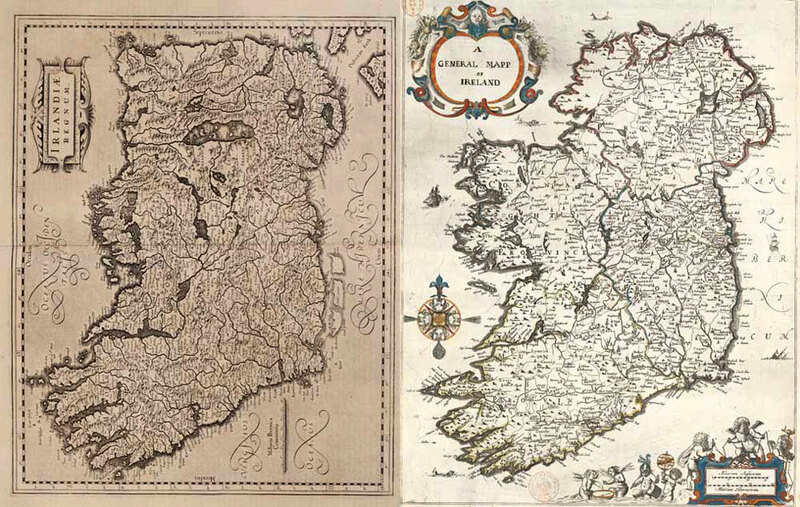 It proved a milestone in Irish and world cartography and its maps were used as a record of land tenure until the advent of the Irish Ordnance Survey in the 1820s. Jimmy’s presentation outlined the historical context which brought about the survey, its planning and measurement and its hugely significant resource for us in the form of maps, Books of Distribution and Survey and the information now merged and contained online in the Down Survey site. Jimmy Laffey is Public Relations Officer with the Skehana & District Heritage Group and supports the Heritage Section of Galway County Council in the delivery and implementation of its many and varied projects. In the very recent past these have included numerous events relating to Galway’s 1916 Rising Commemorations and in particular its award winning Decade of Commemorations website, Cumann na mBan publications and seminars and the highly acclaimed Farming & Country Life event at Teagasc Headquarters in Mellows Campus, Athenry.